Our winner showing over her stack of chips and her Club Level seats to the Redskins game! Our runner up showing the Agony of Defeat! This past Friday we held our first ever Charity Poker Tournament to raise money for two great charities (The Jason Beach Foundation and the Washington Literacy Center). Putting on this tournament turned out to be a lot more work than I expected it to be and heading into the event I really wasn’t sure if it would all be worth it. Well, we found out quickly that it was. All of the participants seemed to have a great time as they enjoyed the open bar, the buffet, the poker, and the conversations at the poker tables and around the room. Some even ended the night by enjoying some dancing in an adjoining room at the club! Since the event I have had several people come up to me to comment on how much fun it was and request that we hold another one in the future. Done. A big challenge for Dave and I is to always try to be creative when planning events to try to pick events that can be enjoyed by all types of people. We have held Iron Chef cooking contests, bowling parties, Top Golf outings, Happy Hours, attended Nationals games, Redskins games among other charity events like cleaning up students laptops at the Literacy Center, charity walks, making care packages for soldiers. To me the perfect events are ones where we can combine having a fun night with raising money or helping out charities. That’s exactly what we got with the poker night. Everyone had a blast and Dave and I were able to present both charities with checks that we know will be put to great use. 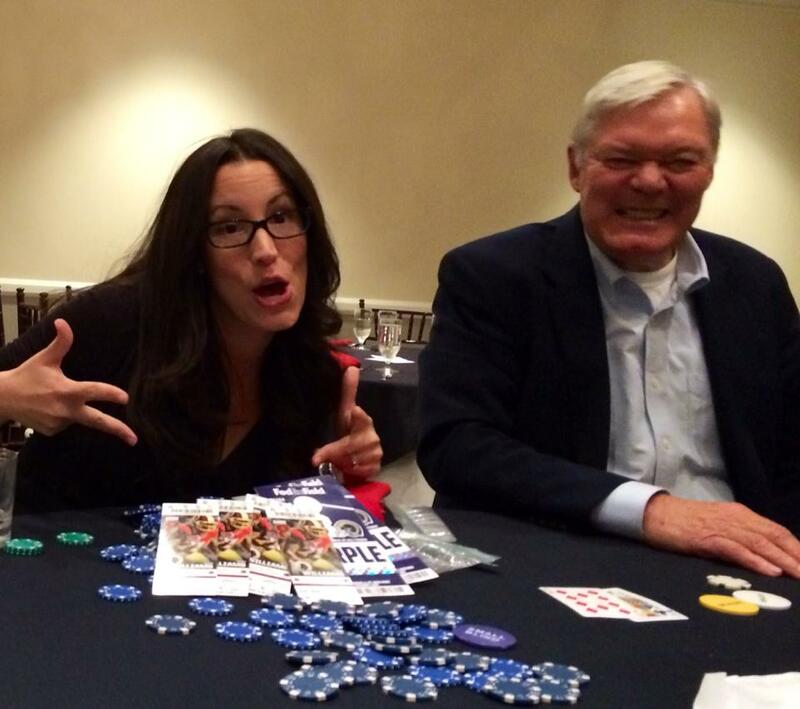 I am already looking forward to an even bigger and better poker night next year! This entry was posted in Uncategorized and tagged charity, Geoff Keller, integrateIT by kellerg2. Bookmark the permalink.